China plans to set a dozen quality-control standards for stem cell therapies to encourage innovation in the booming sector, medical researchers and health authorities said. In February, the Chinese Society for Cell Biology issued a new set of standards explaining the basic qualities of human embryonic stem cells - which can develop into a variety of tissue types - laying out technical guidelines for quality control and the requirements for product use. This is the second standard of its kind, following the introduction of the general requirements related to stem cells in late 2017, according to Zhou Qi, director of the Institute of Zoology at the Chinese Academy of Sciences. Zhou is also the head of CAS's Institute of Stem Cell and Regenerative Medicine, which is taking part in the drafting process. "China's research into the stem cell sector has entered new terrain that has no proven methods," he said. "There are more than 10 standards under discussion or awaiting approval. We are aiming to promote a comprehensive quality-control framework that would help regulate the industry and expedite development of more products to meet clinical demand." In recent years, as the potential of stem cell therapy has become evident to doctors and scientists, confusion about oversight of the industry has also grown. Wu Zhaohui, head of the China Medicinal Biotechnology Association, said each stem cell is both alive and unique, and thus requires a different approach than what is used in the manufacture of conventional drugs. Stem cells add new pressure for quality control in mass production, Wu said. In 2015, the National Health and Family Planning Commission and National Food and Drug Administration issued a set of rules to regulate stem cell research. They require researchers using stem cells to abide by the same guiding principles as other medical products. "The rules have prompted us to think about how to enforce the Good Manufacturing Practice - the requirements for drugs - in the context of stem cell research and production," Wu said. "The newly released standards are part of our attempt to resolve the issue." As more standards are expected to be rolled out in the near future, he said, they are likely to focus on the different types of tissues that stem cells develop into, in a bid to create a comprehensive structure for supervision. Liu Guisheng, an official with the National Health Commission, said strong oversight is meant to stimulate innovation. "So far, 35 clinical research projects using stem cells have been approved," he said. "Since specific regulations governing the manufacture of stem cell products are still in the pipeline, it's vital to work with prudence and patience." Zhang Hui, an official with the National Medical Products Administration, said rules released in 2015 have played an important role in strengthening supervision and protecting the rights of trial participants, but they lack specifics that point the way to viable avenues upon completion of clinical research. "For instance, the rules say that stem cell clinical research approved within the framework must not be directly applied in clinical treatment," he said. "Then the question is, Where will this research end up?" he said. 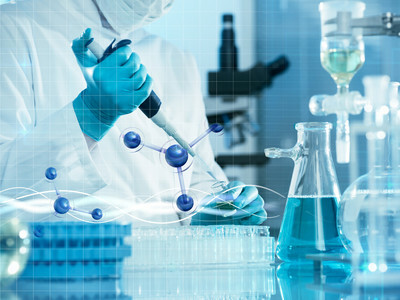 Zhang added that in other countries, 10 stem cell products have entered the market, with four more recently approved and more than 300 in the registration process. "But in terms of fundamental research, China has not lagged far behind other developed countries," he said. The new standards - including the general requirements released in 2015 that centered on the safety, efficacy and stability of stem cell-based medical products - have helped, he said. In China, 114 medical institutions, including 12 military hospitals, are allowed to conduct clinical research using stem cells, according to Wu Shuxia, a researcher on cell therapy policies at a medical sciences academy in Beijing. She said that other than blood stem cells, which provide a scientifically proven treatment for blood disorders, including leukemia, the therapeutic mechanisms and risks of most stem cell products require further clarification. "There are a slew of risks and issues associated with stem cell injections, and we still lack rigorous scientific evidence that can speak volumes about their reliability," she said. She suggested that research institutions, pharmaceutical companies and governments join forces to provide and share more scientific results and other experience that would help enhance regulatory capabilities.